Infiltration Albert Speer and Joachim Neugroschel. Bracher, Karl Dietrich. The German Dictatorship: The Origins, Structure And Effects of National Socialism (University Books). Fest, Joachim C. Hitler (Pelican). TAG DES GEDENKENS AN DIE OPFER DES NATIONALSOZIALISMUS. GEDENKSTUNDE DES DEUTSCHEN BUNDESTAGES..
Grunfeld, Frederic V. The Hitler File: A Social History of Germany and the Nazis, 1918-45. MacDonald, Callum. The Killing of Ss Obergruppenfuhrer Reinhard Heydrich. From Hitler to Degenerate Art the Fate Of the Avant-Garde In Nazi Germany, from	Goebbels to Alliance For Murder, we can help you find the nazi books you are looking for. As the world's largest independent marketplace for new, used and rare books, you always get the best in service and value when you buy from Biblio.com, and all of your purchases are backed by our return guarantee. 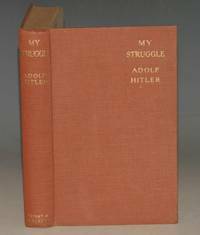 Mein Kampf, in English: My Struggle, is a book by Adolf Hitler. It combines elements of autobiography with an exposition of Hitler's political ideology. Volume 1 of Mein Kampf was published in 1925 and Volume 2 in 1926. Hitler began the dictation of the book while imprisoned for what he considered to be "political crimes" after his failed revolution in Munich in November 1923. Though Hitler received many visitors earlier on, he soon devoted himself entirely to the book. Drawn on eyewitness accounts, letters and diaries, and archival material, this is the story of a complex man who was, of all the Nazis, the most zealous advocate of the extermination of the Jews. Index; photographs. Translated by Krishna Winston.